Keep a safe distance of between 0.5 and 2 meters(according to EMF measurements) between ELF EMR sources and kids. 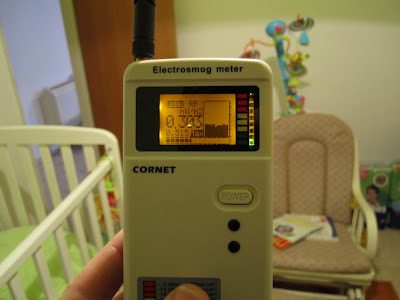 Keep RF radiation sources from kids and babies bedrooms. 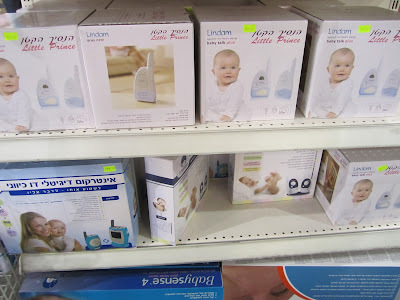 Don't use RF emitting babies products such as wireless babies monitors. Avoid letting your kids and babies play with RF emitting sources such as smartphone, mobile phones, cordless phones, wireless PCs and tablets. Want to "see" this radiation? Order an EMF meter now! Kids and babies are very important to us. Some people will say they are the most important things in their life. We will do our best to keep them safe, healthy and out of danger. We will not smoke next to them, we will try to supply them with good nutrition, we will do our best to develop their intelligence, and we will hope for the best of all for them. In contrary to all of that, we as parents make decisions that expose our kids and babies to Electromagnetic radiation while using babies' products and toys, usually without knowing that these devices emit electromagnetic radiation. It is a consensus in science and medicine that kids and babies are often more venerable to environmental risks, which one of these risks is exposure to Electromagnetic radiation. The reasons are clear. Babies and kid are still developing, their cells are dividing in rapid pace (along with it the chance of mistakes in the process of cells deviation). Their immune system is not yet fully developed and not 100% efficient in detecting and in eliminating flowed cells and other threats (compared to an adult). Their skull is thinner and can block less RF radiation, as a result, RF EMR can penetrate deeper into their brains. In addition, they will be exposed to EMR most of their life's and it is only logical that if EMR (both RF and ELF) have negative health effects (which I believe they do), our kids will develop these negative health effects much earlier in their lives than we will. In this page, we will review products, equipment, toys, actions and habits that can expose our babies and kids to Electromagnetic Radiation (both RF and ELF). In some case, we will offer alternative means and products that will not expose your babies and kids to EMR. In most cases, we will recommend you to stop using EMR radiating devices, which has become very popular and that are commonly used, such as microwave ovens, cell phones, wireless phones, wireless tablets, and PCs, at list not around, and not by kids and babies. Sounds a bit radical? Well, I think that in a few years we will look back, not believing that we used to allow children and babies to be exposed to so much RF and ELF from these devices. In a microwave oven, there is a very powerful microwave transmitter. It usually has a minimum power output of 500W. Microwave ovens transmit such high levels of microwave radiation that the wave can actually heat up the food inside the oven. Microwave ovens are designed to keep most of the radiation inside, but some radiation always manages to find it's way out into the room. Even if the microwave is 100% OK, you can still measure high levels or microwave radiation outside the oven. The levels outside the oven might be similar to the levels emitted from several GSM cell phones. In Israel, in order for a microwave oven to be declared as "unsafe," the measured levels 5 cm away from its door need to be as high as 5000uW/cm2. Such a high level is much higher than the environmental allowed RF level in most countries (usually standards that don't consider any health or biologic effect other than heating effect). We recommend not using a microwave oven. If you still want to use it, please leave the kitchen room shortly after turning the microwave on and never look inside the microwave oven when it is working. EHS people should not use microwave ovens at all. This item is very common and can be found almost in every house where there are young kids and babies. 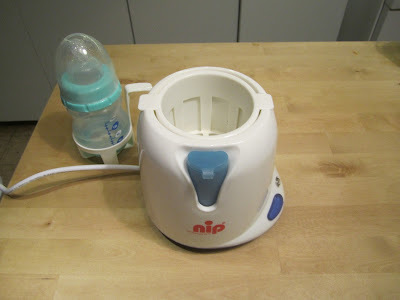 Parents don't want their child to be exposed to bacteria and germs so they use the microwave oven (which is a source for RF-MW radiation) to sterilize the baby's bottle (and sometimes other stuff that babies put in this mouth). 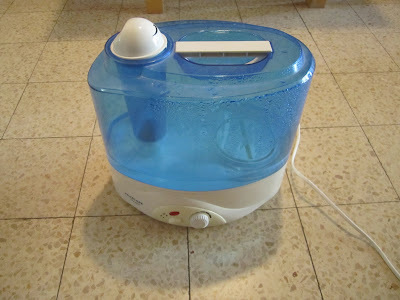 Microwave's sterilizers are very cheap, but they depend on the microwave oven. As we said before microwave are a strong RF-MW radiation source, even if it is 100% working OK. We don't recommend using microwave ovens, especially not near kids and babies. A variety of electric bottle electrical sterilizers exists on the market today. These sterilizers are sterilizing the bottles without emitting RF-MW radiation into the kitchen room. Just like the case of the microwave sterilizers, some people tend to use microwave ovens in order to heat the milk bottles, before given them to their babies. Since the heating process is short, people usually wait next to the microwave oven for the milk to heat up. In the process, they usually hold their babies in their arms while waiting, therefore exposing them to the strong microwave radiation emitted by the microwave ovens. Using microwave ovens expose both adults and kids to high levels of MW-RF EMR. Some people believe that food that has been heated up in microwave ovens is less nutritious than food that has been heated up in other ways. Heating food in microwave oven takes less time but it exposes people to MW-EMR. Some people, especially kids, like to look inside the microwave oven when it heats up the food. Looking inside the oven, while it works, may damage the eyes of the person doing that, in addition to exposure to high-level MW-EMR. If you do choose to use microwave ovens please make sure that you leave the room while it works. EHS people should not use microwave ovens at all. It is very easy to heat food while using alternative ways that are available in today kitchens. Sometimes it takes more time, but it does not expose you to MW radiation. Each and every piece of wireless equipment that is based on RF wave communication emits Radio Frequency radiation. Most of the new digital wireless devices emit RF radiation both from the "receiver" and from the "transmitter" units. Most digital communication methods require the transmission to be constant, even when the device is noted in active use. Among these new digital wireless equipment, you can find DECT devices (such as wireless phones, and wireless baby monitors), wireless WIFI routers, wireless PCs, wireless laptops and tablet PCs, baby monitors and other communication devices and equipment. Using and placing these wireless devices in children bedrooms will expose your children to constant levels of RF EMR. Using these devices is not recommended, especially not in children bedrooms or near children. Wireless baby monitors and wireless intercom are digital wireless, RF radiating devices. These devices usually work according to the DECT electronic standard (or similar) which means they emit RF EMR all the time, even when not passing any real communication between the units. Usually, their base station is installed on the baby's crib or bed and exposes the baby to constant levels of RF EMR from a very short distance. In some type of baby monitors the part which is used by the parents also emits RF EMR all the time. We don’t recommend using wireless baby monitors and intercoms, because of the constant, high-level RF EMR exposure of both the child and parents, from such short distance. 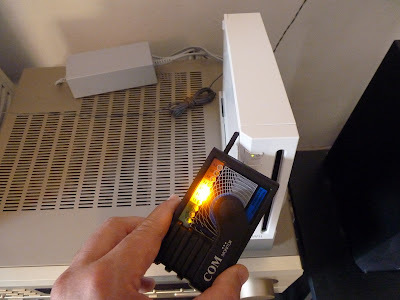 WIFI Wireless routers, wireless PCs, cellular modems, wireless network cards, and other wireless computer equipment emit constant RF radiation. In addition, every piece of computer equipment, being an electric-electronic device which emits electric and magnetic fields in low frequency and extremely low frequency. Some of these computer devices have external power sources that are also emitting ELF EMR. In addition, all these devices are non-linear electrical consumers that create electronic noise over the electric wires called "dirty electricity". When all these computers devices and equipment emit ELF EMR, some emit RF EMR and most creates "Dirty Electricity", locating these devices in bedrooms, and especially in kids' bedrooms, is not recommended and can expose the person living in this room to several types of EMR. In case you have these devices in children's' bedrooms, it is recommended to turn them off and to unplug them from the electric socket at night. Cellular phones are strong sources of RF EMR. When you put a cellphone next to your head when the phone is transmitting, you expose your brain to RF EMR and also ELF magnetic and electric fields. Exposing young children and babies to these types of radiation, from such a short distance should be avoided at all times. Kids are very quick to adopt new technologies and if given the chance they will very soon start using the cellphone for gaming, web surfing and chatting. In the last few year kids have become heavy users of a cellphone, and smartphone. In addition to that, Kids tend not to be aware of the time they spend on a cellphone and smartphones. The outcome of all these is that kid that use a cellphone, expose themselves to high levels of RF and ELF EMR, for long periods of time, all at a very young age when they are extremely venerable. All that is left to say is that it is recommended not to use cell phones next to kids and babies, not to let kids use a cellphone and not to buy them cell phones or smartphones. Tablets are a hybrid between a cellphone and a laptop. Tablets are actually large smartphones. All tablets use wireless communication from different types (Bluetooth, WiMAX, and WIFI), some of them also have a cellular modem. The wireless network card and the cellular modem (3G or 4G) inside the tablets are used to download files, songs, videos, application, and games and also to sync applications that are installed on the tablets with data from the internet. While using it the tablet emits RF EMR very frequently. Everyone using this device, when it's wireless communications are on, will be exposed to RF EMR. Kids and babies love tablets (and smart-phones). Some applications and games were created especially for kids and babies. If your kid uses tablets and the wireless communications will be turned on your kid will be exposed to frequent RF radiation. The less problematic way to use tablets it to play with them only after all wireless communications were turned off. Kids like to play. They learn a lot while playing, we all do. Game consoles are a big hit around kids. Most game consoles that are sold today have WIFI (web and network) and Bluetooth (mostly for communication to and from the remote control, joysticks, and gamepads) communications embedded. Therefore most game consoles are sources of RF EMR. As far as I know only in Sony's play station 3 you can turn the WIFI off (by connecting a wired internet cable and turning the WIFI off in the setup) and Bluetooth off (by connecting a mini USB cable from the console to the game page or joystick). I don't recommend using wireless game consoles. If you feel that you must use them, It is highly recommended to use the consoles only for short time. It is recommended to turn them completely off when not playing with them. If you can connect the console using wires and turn off all wireless communications that would be best. I think that EHS kids should not play with wireless, RF EMR emitting game consoles. Remember playing with wireless game console expose your kids to RF EMR. Electric heating devices are a strong source of Extreme Low Frequency (ELF) Electro-Magnetic Radiation (EMR). Blow heater, coil heater, radiators and other types of room electrical heater are all high power electric consumers and the current that flows through their circuits is high current. The high current creates a high extreme low-frequency magnetic field. So, all these room heaters are sources to high levels of ELF EMR. In ELF EMR the best thing you can do in order to limit your exposure is to keep a safe distance between you and the source. So, when using an electric heater make sure you keep at least one meter away from it. 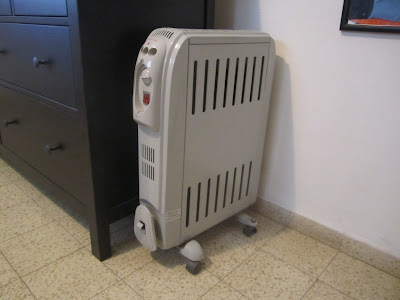 In kids' and babies' rooms, make sure the heaters are not close to the babies. Keep also safety measures in order not to cause fire or burns when using electric heaters in kids and babies room. Underfloor Electric Heating is a very substantial source of ELF EMR. In rooms where underfloor electric heating is installed (and on which your baby is crawling) you will be able to measure around 20 mG units, on the floor level. 20mG is at a very high level. In the height of 1 meter above the floor, the levels will be around 4-6 mG while the underfloor electric heating is working. In some countries, these levels are considered to be safe, but then there are studies that show additional risk when exposed to these levels, and the IARC consider ELF EMR to be a possible carcinogenic in levels which are higher than 3. I don't recommend using underfloor electric heating when people are in the room. This goes especially to rooms with children and babies play, crawl, sleep and life. If you already installed the underfloor electric heating system it would be best to heat the room when there is no one in it.